RATS OR MICE IN ATTIC? Rodent Exclusion is the KEY! The first step is for you, our customer, to call us to schedule an appointment. After a thorough rodent inspection, we will give you a written quote to take care of your rodent infestation. Rodent trapping and treatment usually consists of sealing off all of the areas where rodents are entering the structure, and then removing all the rodents from the structure by trapping them in attics, crawlspaces, and other areas that mice or rats will nest while in your home. Rodent exclusion is the term the professionals use when talking about sealing up the openings that the rodents are using. Your price will include a complete rodent treatment, with all the necessary follow-up visits needed. Plan on one to two weekly visits to check rodent traps and remove the dead rodents. It may take up to a month to completely take care of the problem, especially if there is a high initial population. We are usually able to guarantee our work for at least six months, without any fine print or hassles. We do not usually use any poisons inside a home or business; we don’t want rodents dying where we cannot remove them! Be wary of any company claiming rodent extermination without exclusion—new rodents will be back before you know it. Also be wary of companies quoting low prices over the phone. If this is the actual price you pay (if not a bait and switch), you will usually get what you pay for! Few companies have the expertise or skills to tackle a service like this, which is why most pest control companies do not even attempt these services. 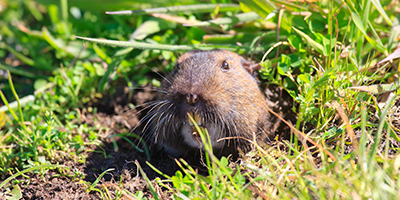 Gopher Patrol is more than just a pest control company, as we specialize in rodent and gopher removal. Rather than putting our customers on never-ending rodent trapping programs, we focus on resolving rodent problems for good. At Gopher Patrol, we want to get to the root of the problem, so you can spend your hard earned money and time on other things. We charge a fair price for a Quality Job! 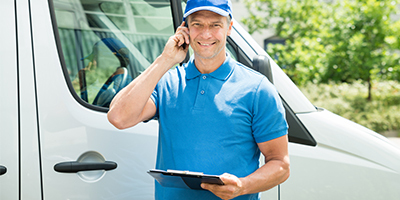 We cannot give estimates over the phone, but once we discuss your situation, we’ll be happy to give you our average prices, pending a rodent inspection. Our inspectors are not salesmen; they are highly experienced rodent exclusion experts, and they are the ones who do the actual work. We can usually start right away, or we will be happy to let you compare quotes and call us when you are ready! Call us today or reach us online to set up an appointment. Our skilled rodent exterminator will be able to determine the extent of your rodent problem and the best method to resolve your rodent control issues. Don’t call “the bug guy,” call Gopher Patrol, Southern California’s Top Rated Local® rodent control experts. Rats are various medium sized rodents. “True rats” are members of the genus Rattus, the most important of which to humans are the black rat, Rattus rattus, and the brown rat, R. norvegicus. Many members of other rodent genera and families are also called rats and share many characteristics with true rats. A rat has an average life span of 2-3 years Rats are distinguished from mice by their size; rats generally have bodies longer than 12 cm (5 inches). Squirrels of most species are about the same size as rats but are members of their own family, Sciuridae, and are usually more specialized than rats. A mouse (plural mice) is a rodent that belongs to one of numerous species of small mammals. The best known mouse species is the common house mouse (Mus musculus). It is found in nearly all countries and, like the laboratory mouse, serves as an important model organism in biology, and is also a popular pet. The American white-footed mouse (Peromyscus leucopus) and the deer mouse (Peromyscus maniculatus) also sometimes live in houses. These species of mice live commensally with humans. Although they may live up to two years in the lab, the average mouse in the wild lives only about 5 months, primarily due to heavy predation. Cats, wild dogs, foxes, birds of prey, snakes and even certain kinds of insects have been known to prey heavily upon mice. Nevertheless, due to its remarkable adaptability to almost any environment, and its ability to live commensally with humans, the mouse is regarded to be the third most successful mammalian species living on Earth today, after humans and the rat. Mice can be harmful pests, damaging and eating crops and spreading diseases through their parasites and feces. In the Western United States, breathing dust that has come in contact with mouse feces has been linked to the deadly hantavirus. The original motivation for the domestication of cats is thought to have been for their predation of mice and their relatives, the rats.